I love getting facials and massages. When I used to be a Flight Attendant I would always make sure I got some sort of treatment on every trip. Hong Kong and Shanghai were the best for massages as there were salons on every corner and it was so cheap! Los Angeles and New York were good for facials- Californian and New York women are very particular and demand the best in skincare so the competition and variety was fabulous. I think back now and it all seems so glamorous,but I would get my eyebrows shaped regularly by a woman in San Francisco (a small salon above an art gallery on Sutter Street, I still remember it and the lady after all these years! ), French Manicures in LAX (would only be Los Angeles for my French because I found a salon that got the colours just right and the thickness of the white line perfect!) and facials in NYC. I was hardly at home and because I could always get treatments cheaper when I was away, I never had a regular salon that I would visit back here in the UK. Now I don't fly for a living anymore, I have been looking for a salon for a while which is welcoming, modern and has a variety of good treatments to choose from. I don't know about you, but whenever I am in a beauty salon I never want to leave! I love getting pampered and if I could, I would easily spend a day just getting treatment after treatment! 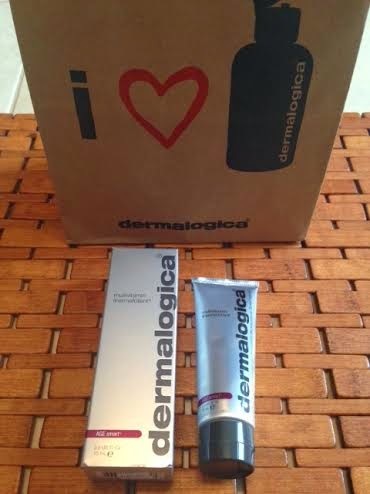 I love a good facial though and I always seem to end up choosing Dermalogica facials. A couple of years ago I found a place called The Body Place in Bush Hill Park in Enfield. I went a couple of times back then as I lived quite close to it but when I moved to Waltham Abbey I thought I might find a salon closer to me. There are loads of salons to choose from in Essex as you can imagine but I chose to go back to The Body Place about a month ago as I really like the feel of the place. It's quite small inside but spread across two floors. Downstairs is where I have gone to have my facials and upstairs it seems is where nail and other services are carried out. 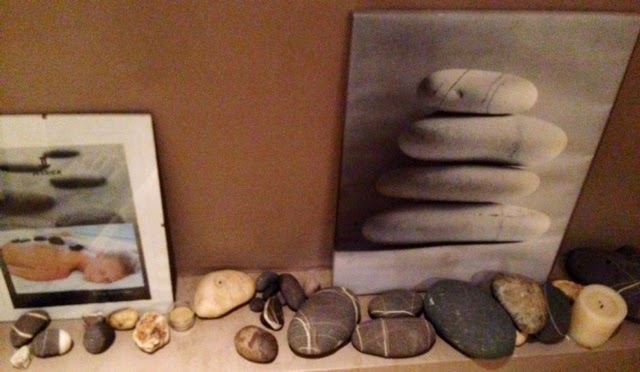 I love that it feels so serene and calming inside. It might be to do with the wooden floors and beautiful chandeliers that give it a lovely modern but also traditional homely and cosy feel. 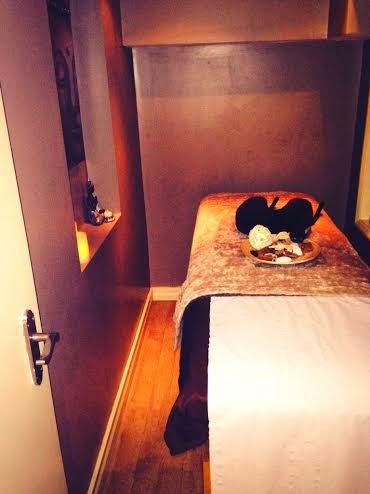 Its all neutral dark browns and taupe in the treatment rooms with gorgeous soft luxurious throws on the treatment beds. The beds are also heated so when I was tucked up inside having my facial it was like I was in heaven-bliss! ﻿So yesterday I went to have another treatment, I booked the Dermalogica Prescription Facial. I asked for the same Beauty Therapist as the last time I was there when booking and luckily the therapist called Jenna was available. She was really nice and friendly, professional and knowledgeable. I think its nice to have the same therapist as they get to know your skin and your likes and dislikes. Like most women, I see getting treatments as a bit of me time and pampering and Jenna gets the balance right of being friendly but then also allowing me time to enjoy the treatment-I think I have fallen into a semi-sleep induced state on both occasions it's so relaxing! While the masque was on I was also offered a complimentary scalp and hand massage which was heavenly! The facial includes steam and extraction which although can be uncomfortable for a short time, is great because it really feels like your skin is getting a deep clean. I always try and get a facial on a day when I'm not working or have anything else planned as I don't want to have to put on any make-up or anything after. I just let my skin be for a day and as Jenna stated when I go to bed, I don't need to do anything else atall. I always look like an 'oil ball' when I come out but I really see the difference in my skin, especially the next day. It feels smoother, much brighter and clearer and I have started booking these treatments every 4 weeks now to maintain my skincare routine. Last time I was at The Body Place I got a sample for the Multivitamin Thermafoliant. I really liked it as I haven't got an exfoiliant in my routine at the moment and my skin reacted well to it so I decided to buy the full sized one on this visit (below). It's great for those congested areas around the nose and chin which I tend to get. Dermalogica products in themselves are not on the cheap side...On a couple of occasions in the past I have brought the full set of cleanser, toner, moisturiser and eye cream for my skin type - the first time back in 2002 and I think it set me back around £130 each time. Before buying, make sure to try out a few testers of the product you want. Most salons who do Dermalogica Facials or sell their products have a good range of samples for you to try too, so don't be shy to ask. A lot of my flying friends used to use Dermalogica products as a rule all the time. You can imagine what constant longhaul flying does to your skin over a period of time and they would swear by these products. I have also had Microdermabrasion done at this salon in the past too. Although it's not as relaxing as a 'normal' facial it does produce results and can help with acne, scarring and pigmentation marks. 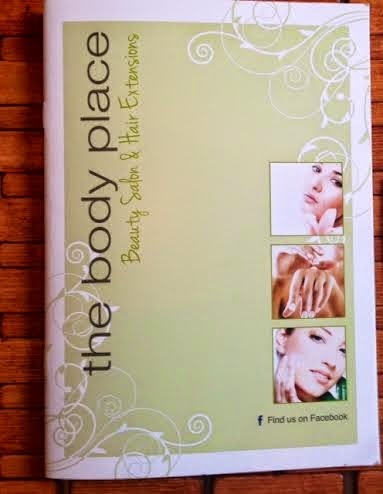 The Body Place use Crystal Clear for their Microdermabrasion. I'm looking forward to my next visit next month! With a busy and sometimes hectic life, we often don't take care of ourselves as best we can and investing in regular treatments, whether they be facials, massages or manicures does make a world of difference! Let me know what you think and what treatments you regularly get. My Dermalogica Prescription Facial at The Body Place was £37.